Two years ago I had the best time at the Saratoga Wine and Food Festival. I missed it last year but I am NOT going to miss it this year! The three-day Saratoga Wine & Food Festival and Concours D’Elegance in Saratoga Springs, September 6 – 8, brings the epicurean lifestyle to the forefront with three days of gourmet events showcasing fine international wines, innovative chef-prepared menus, cooking demonstrations and wine seminars, expansive tastings, upscale auctions and a concours d’elegance of luxury automobiles. Attendees will enjoy opportunities to get up close and personal with expert chefs, wine connoisseurs and winemakers, automobile experts and celebrity personality Mo Rocca. Learning to Cook with Mo Rocca & Mamma Theresa from DZ Restaurants: Inspired by Mo Rocca’s hit Cooking Channel show, “My Grandmother’s Ravioli,” this session pairs the celebrity host with DZ Restaurant’s beloved Mamma Theresa, as she shows him how to make select family recipes and traditional Italian specialties. Heritage Pig Butcher Demo Led by Chef Zak Pelaccio: The top wine and food festivals in the world have been featuring pig butchering demos as part of a commitment to sustainable, ethical farming and locally sourced food. Chef Zak Pelaccio of the Hudson Valley’s hottest new restaurant, Fish & Game, demonstrates the finer points of butchering a heritage pig and innovatively utilizing the various cuts of meat. Zak Pelaccio Chef’s Demo: Chef Zak Pelaccio prepares creative dishes using heritage pork and locally sourced produce from the Capital Region and Hudson Valley. Big Green Egg Grill Games sponsored by the Times Union: TU food writer Steve Barnes judges the final round of competition among Capital Region amateur chefs who will each be given a basket of ingredients and asked to create a unique recipe using Big Green Egg Grills. THE CONNOISSEUR TENT – Master Wine Connoisseur Kevin Zraly hosts this one-of-a-kind culinary and wine adventure for aficionados at Saturday’s Grand Tasting. This separate tasting experience will feature artisan food, wine and spirits including tastings of rare wines from Kevin Zraly’s private wine cellar. This event will be offered in a luxurious, lounge-style space and feature music from a jazz trio. THE AFTER PARTY BURGER BASH presented by Certified Angus Beef and Stella Artois – A competition style burger bash featuring chefs from regional hot-spots like The Brook Tavern, The Local Pub and Tea Room, Druthers, Henry-Street Taproom, 677 Prime at Saratoga National and more. Event also features a milk shake bar, French fries bar, live music and dancing, outdoor fire pits and lounge environments. ADIRONDACK ROAD TOUR & GOURMET LUNCHEON | Friday, Sept 6 – A spirited 1 ½ hour road rally for auto collectors winding through the beautiful Adirondack roads to finish at the historic Lake George Club. Gourmet lunch includes library-quality wines, imported fine foods and tours on wooden and Italian Comitti speed boats. LIVE ON STAGE GALA | Friday, Sept 6 – A European inspired menu created by Executive Chef Mark Delos of Mazzone Hospitality will feature gourmet wine and food stations, sushi bar, Mixology station, and the celebrated Confectionary Room all with live music by The New York Players Band, Body & Soul and a luxurious silent auction. 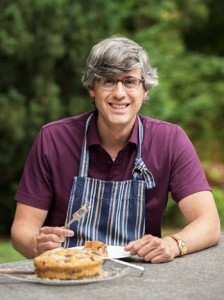 Celebrity personality Mo Rocca hosts the special evening which takes place on SPAC’s historic amphitheatre stage. I plan to be at the event all day on Saturday and will most likely be spending most of my time at the GRAND TASTING & CONCOURS D’ELEGANCE which is the centerpiece of the festival, the Grand Tasting takes place under large, elegant tents on SPAC’s lawn, and features hundreds of fine international wines, delicacies prepared by the region’s top chefs, wine seminars and extensive silent and live auctions of luxuries featuring opportunities to bid on rare wines, couture fashion, exotic travel, original artwork and more. The festival partners again with The Saratoga Automobile Museum to present a show of luxury collector cars at Saturday’s Grand Tasting including invited classes of Shelby Cobras, Alfa Romeo, Porsche, Lancia, Maserati, Ferrari, Lamborghini, Fiat-Abarth and more judged by Pebble Beach marquee auto specialists. On Sunday, there will be a SOUTHERN STYLE BRUNCH where Southern style comfort food meets gourmet inspiration in a sumptuous Sunday Brunch at Saratoga National Golf Course. Live music and the Best in Show Auto Awards highlight the event which will also serve as the launching point for over 20 Shelby Cobra’s departing for an East Coast tour. Tickets to the Wine and Food Festival are available at spac.org, by calling 518-584-9330 or at the Route 50 Box Office. Doubt I’ll be making it up this year. Maybe on Sunday, to see the cars, but that’s it this year. Have a blast!